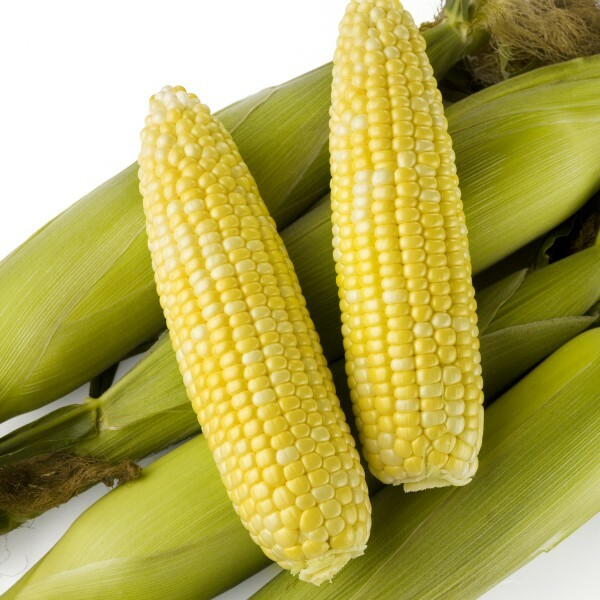 With insect control traits, Obsession II sweet corn hybrid maintains the same great taste and eating quality of conventional Obsession. Obsession II is one of several Performance Series® sweet corn fresh market hybrids with dual modes of action for management of select above-ground insect pests, a single mode of action for control of select below-ground insect pests and crop safety to in-crop applications of Roundup WeatherMAX®, Roundup PowerMAX®* and Roundup PowerMAX® II* agricultural herbicides. With insect control traits, Obsession II maintains the same great taste and eating quality of conventional Obsession1. Obsession II is one of several fresh market sweet corn hybrids with a dual mode of action for management of select above ground insect pests, a single mode of action for select below-ground insect pests and crop safety to in-crop applications of Roundup WeatherMAX® and Roundup PowerMAX®2. 1Sensory data obtained from an expert descriptive sensory panel at the National Food Laboratory, Livermore, CA, June-September 2010. 2Roundup PowerMAX® is approved for use only in the U.S.
*Roundup PowerMAX® and Roundup PowerMAX® II are only approved for use in the U.S. The various Rp genes confer resistance to some, but not all, races of common rust. The effectiveness of a specific Rp gene or combination of Rp genes will be determined by the races of common rust which are prevalent in each growing area. HR = High Resistance: The ability of a plant variety to highly restrict the activities of a specific pathogen or insect pest and/or to restrict the symptoms and signs of a disease, when compared to susceptible varieties. Varieties with high resistance may exhibit some symptoms when specified pathogen or pest pressure is severe. New and/or atypical strains of the specific pathogen or pest may overcome the resistance. IR = Intermediate Resistance: The ability of a plant variety to restrict the growth and development of the specified pest or pathogen, but may exhibit a greater range of symptoms compared to varieties with high resistance. Intermediate resistant plant varieties will still show less severe symptoms or damage than susceptible plant varieties when grown under similar environmental conditions and/or pest or pathogen pressure. ***Sensory data obtained from an expert descriptive sensory panel at the National Food Laboratory, Livermore, CA, June – September 2010. Not available for purchase or use in certain counties of Oregon and Idaho. Please contact your Dealer or Seminis representative for more information. IMPORTANT: Produce Marketing and Stewardship Requirements: This product has been approved for import into key export markets with functioning regulatory systems. Any crop or material produced from this product can only be exported to, or used, processed or sold in countries where all necessary regulatory approvals have been granted. It is a violation of national and international law to move material containing biotech traits across boundaries into nations where import is not permitted. It is the grower’s responsibility to talk to their produce handler or purchaser to confirm their buying position for this produce so that the marketing requirements can be met. Herbicide Information for Performance Series® sweet corn: Roundup PowerMAX®, Roundup PowerMAX® II and Roundup WeatherMAX® herbicides are approved for use on Performance Series® sweet corn (containing the Roundup Ready® trait) in all U.S. states, the District of Colombia and Puerto Rico. If the directions for use on sweet corn with Roundup Ready® 2 Technology (which includes Performance Series® sweet corn) are not listed in the product label that is attached to the product you purchased, contact your Monsanto Company representative. Performance Series® sweet corn Insect Resistance Management (IRM) – Post-Harvest Requirements: Crop destruction must occur no later than 30 days following harvest, but preferably within 14 days. The allowed crop destruction methods are: rotary mowing, discing, or plowing down. Crop destruction methods should destroy any surviving resistant insects. All information concerning Performance Series® sweet corn hybrids given orally or in writing by Monsanto or its employees or agents, including the information in this communication, is given in good faith, but is not to be taken as a representation or warranty by Monsanto as to the performance or suitability of Performance Series® sweet corn hybrids, which may depend on local climatic conditions and other factors. Monsanto assumes no liability for any such information. This information shall not form part of any contract with Monsanto unless otherwise specified in writing. Roundup Technology® includes Monsanto's glyphosate-based herbicide technologies. ALWAYS READ AND FOLLOW PESTICIDE LABEL DIRECTIONS. Roundup Ready technology contains genes that confer tolerance to glyphosate, an active ingredient in Roundup® brand agricultural herbicides. Agricultural herbicides containing glyphosate will kill crops that are not tolerant to glyphosate. Performance Series®, Roundup PowerMAX®, Roundup Ready 2 Technology and Design®, Roundup Ready®, Roundup Technology®, Roundup WeatherMAX® and Roundup® are trademarks of Monsanto Technology LLC. Seminis® is a registered trademark of Seminis Vegetable Seeds, Inc. ©2016 Seminis Vegetable Seeds, Inc.